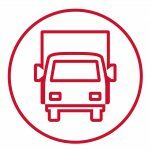 How to Combat Fuel Theft and What to Do If It Happens | WEX Inc.
A corporate vice-president found himself in a difficult situation that made him wonder which employees he could trust and which he should not. Following several days of angst over the matter, he requested an after-hours conference with his CEO, a man he greatly admired and to whom he had demonstrated fierce loyalty. The CEO added that he tended to rely more on the people who continually gave him the best reasoning, ideas, performance, and results. He also believed that knowing the numbers made it easier to discern the difference between whom he should or should not trust in any given situation. A recent survey of fleet managers by Software Advice revealed that a whopping 53 percent responded that fuel costs exceeded projections “somewhat” or “very” frequently. 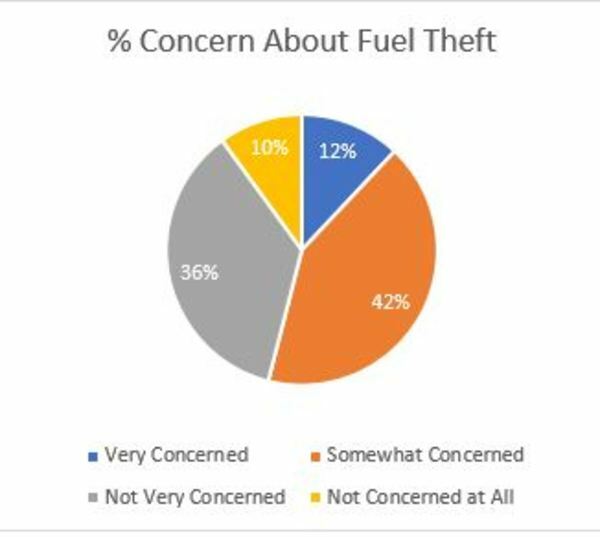 Fifty-four percent agreed that they were either “somewhat” or “very” concerned that fuel theft was a major contributing factor (See chart). What Kind of Actions Should Fleet Managers Consider? Establish and publish benchmarks for fuel consumption and expect them to be met. Develop and enforce fuel policies. Be clear and consistent. Expect every transaction to be documented in detail. Install anti-theft devices, including anti-siphoning hardware and fuel level sensors. Do the math. Know to a certainty if you are losing, how much you are losing, and what it is costing you. Be smarter than the thieves. Check every aberration. If a driver is stealing fuel, expect him to find creative ways to do so. Note that the term was “creative,” not necessarily smart. One driver hid another fuel tank under his truck. The same driver found a way to rig fueling pumps to register no more than 1.5 gallons, even though he pumped 100. Ensure that your IT system is adequately protected against intrusion. A man without the facts can easily be fooled. It does not matter whether the loss you are experiencing is 1,000 gallons a month or 10,000 gallons a month. The amount of loss is probably proportionate to the size of your company. Twenty-first century technology now makes monitoring, measuring, and analyzing easier than our predecessors could have imagined. Keep up with the technology. Stay on top of your numbers. Stay ahead of the thieves. Help your company operate more efficiently and profitably. Contact us today to see how we can help. At EFS, we are moving the industry forward.